I talked about this shirt a few weeks ago now, and finally got to work on it! Although it's nothing special, I'm glad I got it done. 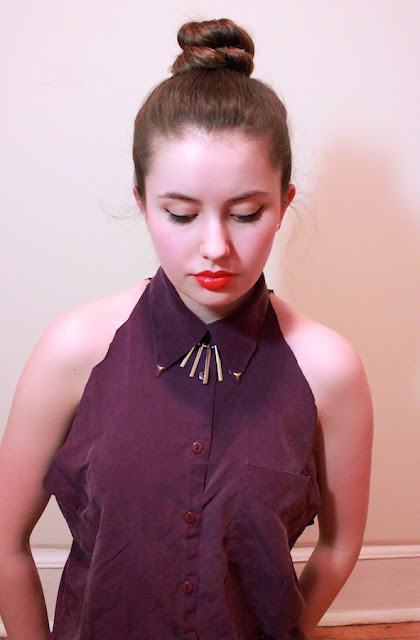 I started off with that sort of shoulder cutout type of look, but had made the cut too close to the neck. I didn't like it, so I simply decided to take the sleeves off. 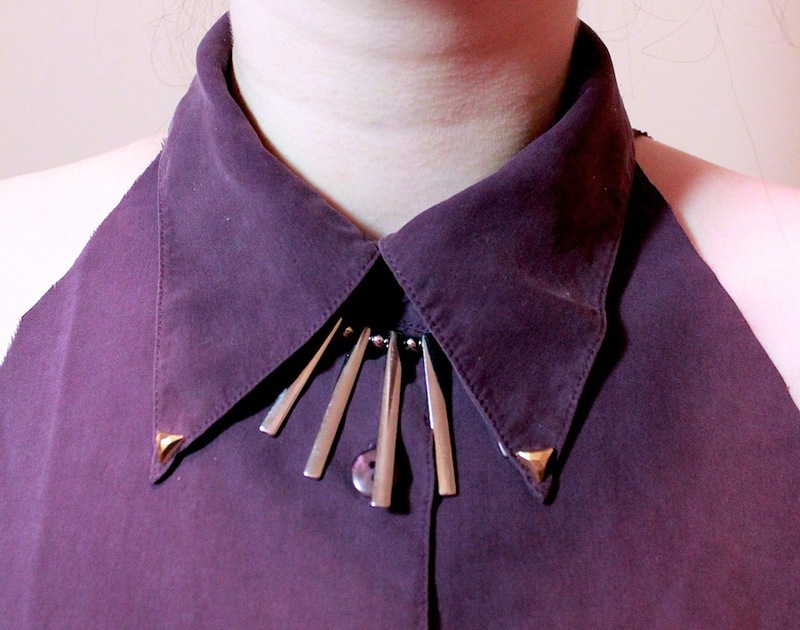 As an extra little added bonus, I added two little triangular studs at the collar. You know, just to give it a little something something. As for the buttons, I'll try to work on that later. For now, I like the simplicity of it! Yes I do realize my work is a little big rough...I'm no designer! 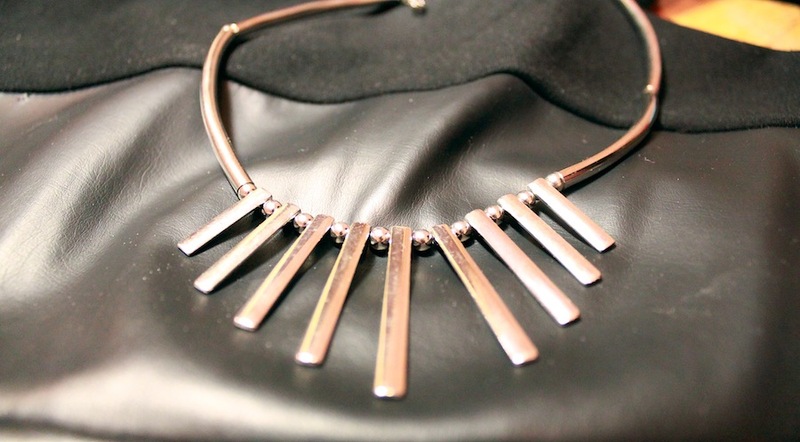 Below is a better look at the necklace, without the collar in the way. Cuteeee! Where did you buy the studs from?